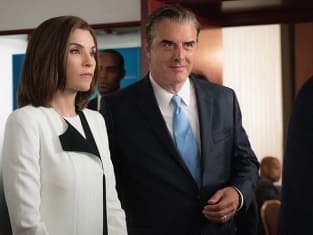 Alicia teamed up with Lucca and Jason to take down student loan scam at a for-profit college, while Marisa tried to get Alicia to force Eli out of Peter’s life on The Good Wife Season 7 Episode 5. Below, TV Fanatics Carissa Pavlica, Elizabeth Harlow and Christine Orlando debate whether Eli has become obsessed, if they trust Jason Crause, and whether or not they would have stuck that cotton ball up there nose in "Payback." 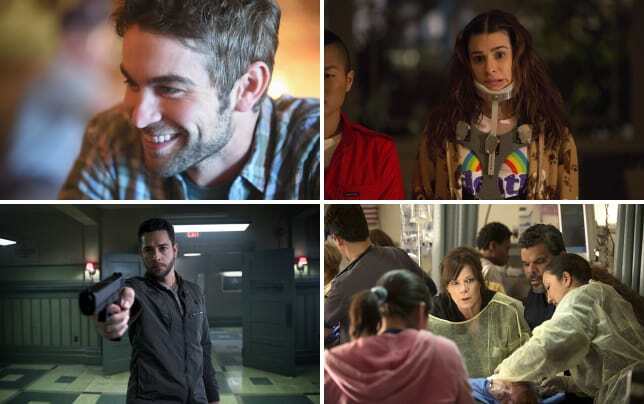 Has Eli become obsessed with Peter? Carissa: No? He's obsessed with getting his job back, but not specifically with Peter, that I can tell. I've been fired before, and have done a lot of the same things he's doing, but in a much different setting. Elizabeth: I can't decide if he's trying to screw Peter or Ruth. Sure he's done things that have caused the campaign some embarrassment, but nothing to truly tank Peter--just enough to make Ruth look less than competent. Christine: I think Eli waffles between angry and wanting revenge to desperate to be back in the inner sanctum. I don’t think he’s necessarily obsessed but he’s definitely not ready to let this go. Do you think Howard planted the adult diaper or did someone really leave it for him? Carissa: Howard has stimulated an atmosphere everywhere he works that allows for people to behave inappropriately. I'm sure someone did leave it for him, but he deserves it. When he starts treating the workplace as if it is a place of work and his coworkers with respect, then he can expect the same in return. Elizabeth: He seemed awfully upset during that scene. Howard is terrible a lot of the time, but harassing somebody in return isn't the right move. If Cary and Diane had really wanted him gone, they should have been encouraging all the associates to take notes and then visit HR. I agree with Carissa that Howard should show more respect, but with Cary, Diane, and even Alicia routinely encouraging his laziness and using it to their advantage, why would he consider changing his ways? Christine: I wouldn’t put it past Howard to have planted them. He’s craftier than we give him credit for but the associates are disgruntled and he’s treated them terribly so it really could go either way. Would you have stuck the cotton ball up your nose? Carissa: No. I wouldn't have attended the meeting at all. Least of all with that idiot Howard in the same room. THAT was inappropriate as all get out. Elizabeth: Tough call -- I would want to keep my job but that was also the most ridiculous sensitivity training. It also only addressed ageism, and if the office culture is bad enough that people are leaving catheters in other people's offices, there's probably some other rampant -isms happening. Christine: Hell no. I was shocked that a room full of supposedly smart adults would go along with such stupidity. Unless my nose was actively bleeding, I wouldn’t be sticking a cotton ball up there. Do you trust Jason Crause? Carissa: Absolutely. I'd love for him to solve cases that easily for me, just pick up the phone and get 'er done. Especially when the client doesn't have any money to pay me, let alone for the money for me to then pay him to do his part. Eeek. Elizabeth: There’s no real reason not to trust him, is there? Christine: I’m in the minority here but I don’t trust him completely. I don’t necessarily think he’s a bad guy but I think there’s a lot he’s hiding. I question his methods, even though I love some of them, and his temper. In the end, time will tell. Was there anything in “Payback” that disappointed you? Carissa: Nope. It was a pretty solid episode. Elizabeth: Such a little thing, but I was annoyed when Alicia didn't take control of the room of alumni. That was the time for her inner "mom" to come out, but I guess we haven't seen her in that role for a while now. Christine: I was a disappointed that Jason didn’t use his knowledge of the scam artist to have him thrown in jail. He used the US Postal System to get those checks. I believe that can be considered mail fraud which makes the charges federal. I’m glad Maggie got her money back but that guy deserved to go down. Carissa: I liked the scene when Jason called up the guy and suggested that he not call that girl again. I think I would like being a private investigator very much. Elizabeth: I enjoyed Marissa being back. Can we keep her this time? Christine: Since Carissa took my first choice…I enjoyed Grace. I like that she’s worried about the budget and learning about how the real world works. I wonder if her brother is getting half of the education while at college. 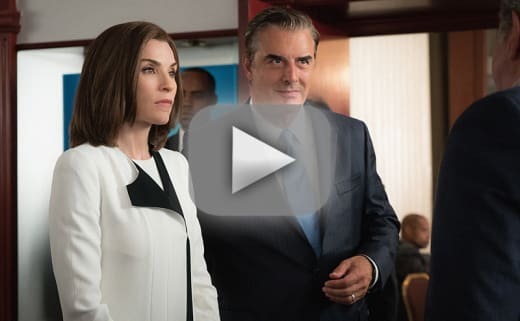 Check back in Sunday night for our review of The Good Wife Season 7 Episode 6 here at TV Fanatic. 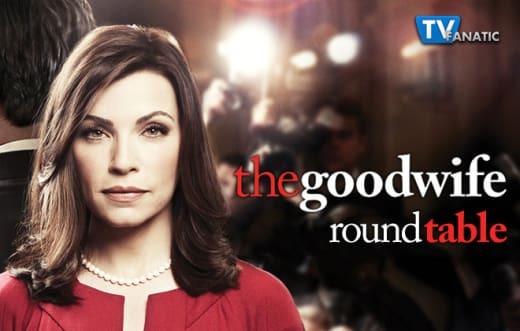 And if you can't wait until then, you can watch The Good Wife online here at TV Fanatic.